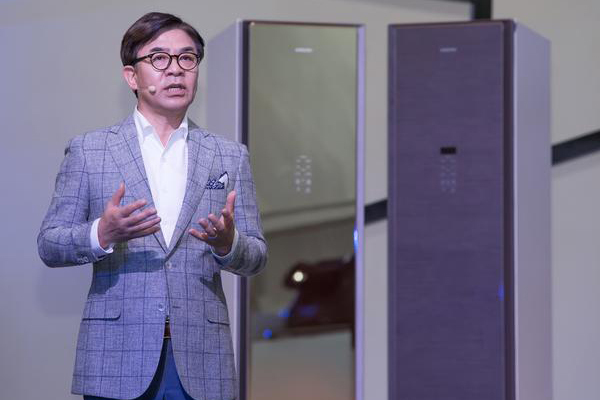 Samsung Electronics Co. Tuesday debuted a web-connected garment care appliance, hoping to take a slice of the bourgeoning market from LG Electronics Inc., the current category leader. The tech giant’s Air Dresser features a four-level care program that involves air, steam, drying and purifying functions. The new appliance is equipped with various know-how of its home appliances, including the steam technology of its washers, low temperature dehumidification technology of its dryers air controlling technology of its air conditioners, deodorization technology of its refrigerators, and filtration of its air purifiers. The Air Dresser, in particular, is supported by artificial intelligence and Internet of Things (IoT) technologies. The appliance connects to Samsung Electronics’ SmartThings application, which recommends a best cleaning course depending on garment fabrics. The Air Dresser comes in four colors - gold, brown, rose, and white - and is priced in between 1.74 million won ($1,556) and 1.99 million won. Kim Hyun-suk, president and chief executive of Samsung Electronics’ consumer electronics division, said that the company has been a market leader in innovative products based on IoT technology that reflects lifestyles of millennials. The Air Dresser will open a new era for the clothes care market and transform the lifestyles of many consumers. The current market category is dominated by LG Electronics’ Tromm Styler that was first launched in 2011. 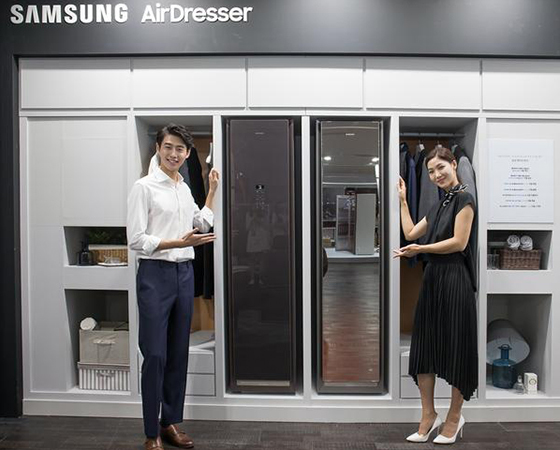 Samsung Electronics along with Coway jumped on the bandwagon in May amid the burgeoning demand for the clothing care dresser market in which sales have surged from 30,000 units in 2015 to 150,000 units last year. Sales are projected to reach 300,000 units this year. Chinese manufacturers have also been launching similar appliances in the market.